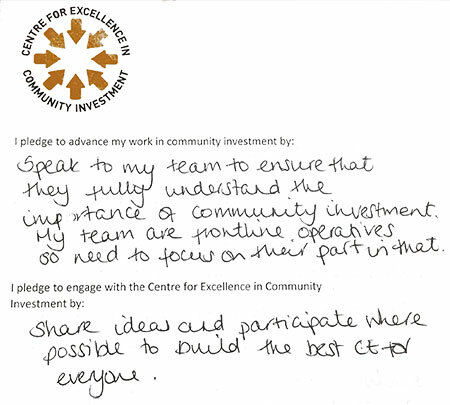 We need your help to make and shape the Centre. 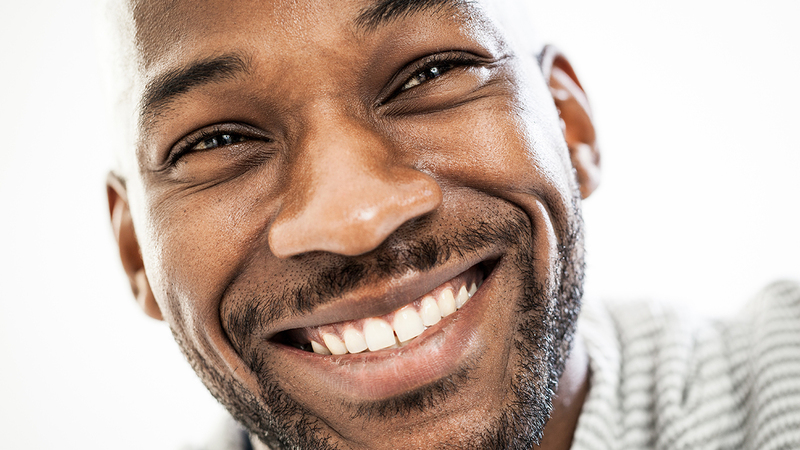 You can get involved in a number of ways. 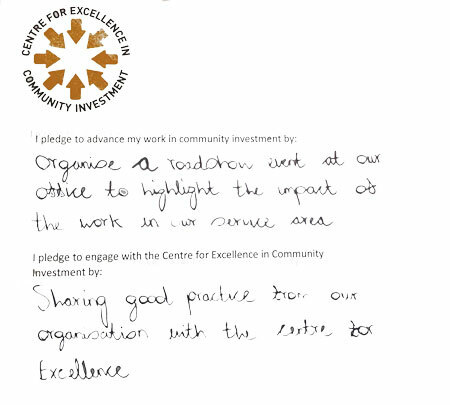 At the series of roadshows we held across the UK, we asked participants to write two pledges. 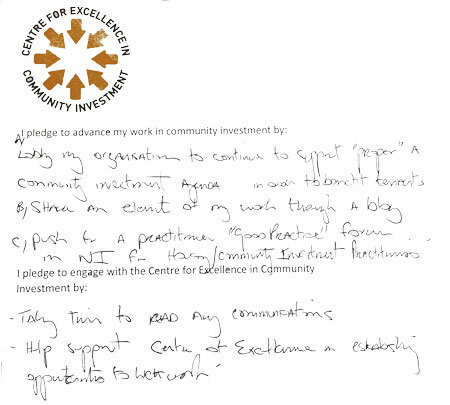 First, about how they would advance their work in community investment with their peers. 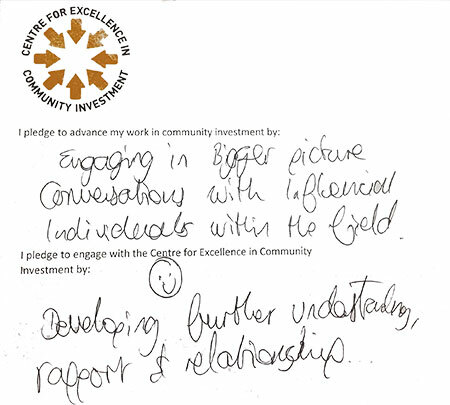 And second, how they would engage with the Centre for Excellence in Community Investment.